Our business administrator, Michelle, schedules appointments, manages patient checkouts, phone calls, and insurance. 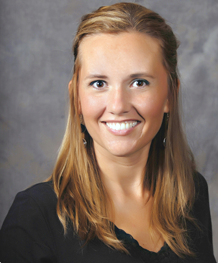 One thing she enjoys about her job is helping patients understand and utilize their dental insurance benefits. Working with the doctors at Erskine Dental is a great experience for Michelle because the doctors truly care about their patients, and give them the best care possible. Outside of work, Michelle enjoys spending time with her fiance, family and friends. She also enjoys being active and taking care of her two cats, Cooper and Stella. 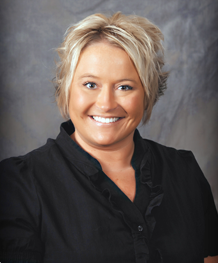 Angie is our expanded dental assistant and her duties include placing restorations, assisting the doctors, and lab work. 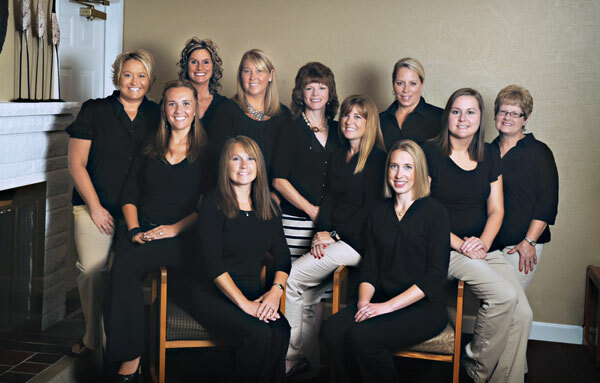 Since 2002, Angie has enjoyed creating beautiful smiles at our office. She especially likes working with our dentists because they are so caring and understanding. Outside the office, Angie likes to spend time w/her husband and their 5 children. In her spare time Angie enjoys taking trips with her husband on their motorcylce. 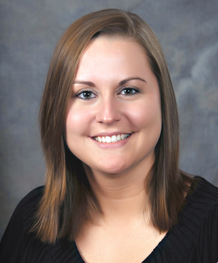 Danielle is another one of our expanded dental assistants, and is also a business assistant. Her duties include placing restorations, and assisting the business staff with daily duties. 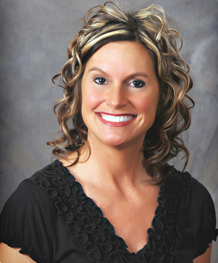 Since 2000, Danielle has enjoyed working with patients and creating beautiful smiles. She enjoys working with the doctors because they are compassionate and believe in the staff when it comes to helping patients. Danielle is married with four children. Each one of her children are involved in sports and extra curricular activities. Kelly, one of our expanded dental assistants, has a wide variety of duties and helps the doctors with their dental procedures. Since 1986, Kelly has enjoyed the challenge of being a dental assistant, and finds it rewarding knowing when she has helped changed someone's health for the better. Kelly also likes working with the women doctors because they are very compassionate with their patients and employees. Kelly is married to her husband, Michael, and they have two dogs, Greta and Gracie. They both enjoy traveling a lot, and always make a point of traveling somewhere warm. 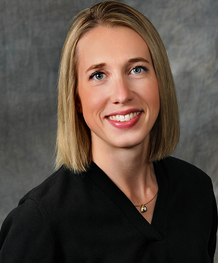 Stacy is one of our dental hygienists who treats periodontal disease, performs periodontal therapy, and maintains healthy gums and teeth. Her favorite part about her job is helping people become confident with their smiles, and helping them to become healthy overall. She learns a lot from the doctors at our office, and respects that they have good communication skills with their patients. Outside of work, Stacy is married with 2 daughters and a step-son. Her hobbies include gardening, the outdoors, and being near the water. Our dental hygienist, Stacey, gives oral hygiene instructions to our patients, cleans teeth, takes X-rays, does fluoride and periodontal therapy, and also orders office supplies. The best things about her job include working with such a great team, getting to know patients on a personal level, and educating them on their overall and dental health. She enjoys working with the doctors because they build great relationships with their patients. In her spare time, Stacey enjoys spending time with friends, family, and the people she loves. She has two Chihuahuas who she refers to as her kids. She also enjoys traveling, cooking, and shopping. 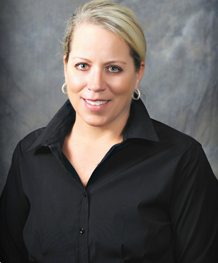 Our dental hygienist, Jody, provides preventive care through dental cleanings, treatment and maintenance of periodontal disease, radiographs, and education. She also, enjoys working together with her team. Helping patients achieve good oral health, which in turn, helps their overall health, is one of the most rewarding feelings for Jody when it comes to her job. She also enjoys working with the doctors because they are compassionate, respectful, and always striving for the best for their patients. 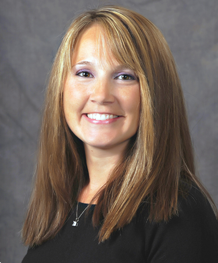 Jody is a native of Mishawaka and is married with two children. She also love animals, the outdoors and spending time with family.